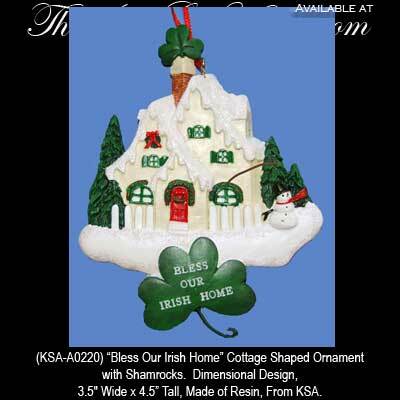 Sorry, this Irish cottage ornament is sold out for the season. Cottage Shaped Ornament with Shamrocks. Gift Boxed. Made of Resin, From KSA.